Our frameless shower screen range is the most elegant of its kind. With minimal fittings, we can either channel fix or mechanically secure the glass in place to reduce the need for an aluminium frame. 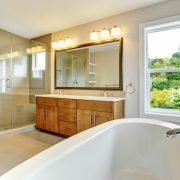 Otherwise, our semi frameless showers are a great option. Using 6mm thick glass all glass panels are surrounded by a perimeter slim line framing system to ensure stability. 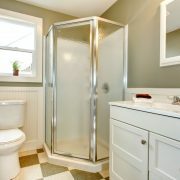 Another alternative is our home friendly option of a framed shower screen. With aluminium securing all sides of glass this shower allows your bathroom to have a unique design and presentation. 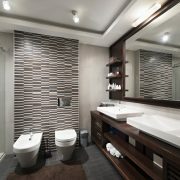 Our experienced sales representatives can meet you at your home and demonstrate samples and ideas to see what design best suits you. Tired of cleaning your shower but nothing will remove the marks on your glass? Our shower screens use “A grade” Australian toughened glass to ensure that this won’t happen again. 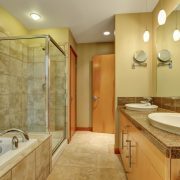 Shower screens are a critical part of your bathroom and perhaps the most important. 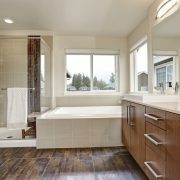 You need an experienced and confident sales representative to measure and determine the suitable shower for your bathroom. Our experienced team of measurers and installers will ensure that your shower screen is installed to the highest quality.